Connally Unit is a maximum security prison located in Kenedy Texas. It houses offenders level G1 (minimum) to G5 (maximum). The current Capacity of Connally Unit is 2,232 male inmates. 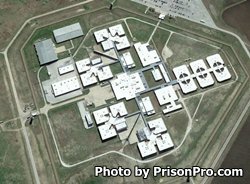 This is the facility which seven prisoners broke out of in 2000 who became known as the 'Texas Seven'. Six of these inmates were recaptured and one committed suicide, but during their time on the lamb the Texas Seven killed a police officer. After their recapture the offenders were sentenced to death. A full time medical and mental health staff are available to inmates 24 hours a day everyday. Connally Unit has an infirmary that can treat up to 17 patients, and even provide assisted living. Educational opportunities for inmates include literacy and adult basic education classes, as well as GED preparation and testing. Vocational technologies taught include carpentry, electrical and plumbing. Inmates can receive substance abuse treatment and participate in support groups like Narcotics and Alcoholics Anonymous during their incarceration. Inmates incarcerated in Connally Unit in Texas have visits on Saturdays and Sundays from 7am-5pm. Offenders who are in Administrative Segregation have visits on Fridays by appointment only, contact the facility by telephone to schedule an appointment.